A photojournalist with Boston University was riding his bicycle along Comm Avenue when a tractor-trailer swung wide. The bicyclist collided with the trailer and was killed. This is the University’s second student to die in a bicycle accident in a month, according to Wicked Local. A local columnist is no stranger to these kinds of accidents either. During Labor Day, he was riding his bicycle in Buxford when a vehicle t-boned him. In the accident, all of his ribs on the left side were crushed, his collar bone was broken and his left lung was punctured. After roughly $300,000 in medical bills, he’s still spending much of his time in rehab. Our Boston bicycle accident lawyers understand that there were nearly 10 bicyclists who were killed in the state in 2011. These accidents accounted for close to 2 percent of all traffic accidents reported in the state, according to the National Highway Traffic Safety Administration (NHTSA). It’s surely no joy ride out there, but there are things you can do to help better ensure a safe journey. 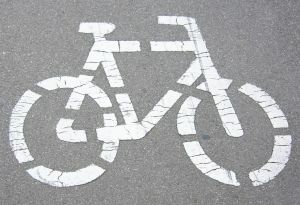 In the state of Massachusetts, the law of the road concerning movement of vehicles says that bicycles are vehicles. This means that for the most part you should operate your bicycle like a driver of a vehicle. The rules are the same. You are a part of traffic and you have a right to expect to be treated as other drivers are. -Go with the flow. You want to make sure that you’re riding with the flow. You never want to ride against oncoming traffic. -Be on the lookout for traffic on bigger streets. You may have the right of way as a cyclist, but it’s important that you remember that drivers can’t always be relied on. You’ve got to fend for yourself, ride defensively and stay one step ahead of the vehicles around you. -Always drive in a straight line. If you have to move out of the line, make sure you yield. -Always cross the road at intersections. Use traffic lights and stop signs to your advantage. This is where traffic is most likely to see you. -Avoid riding at night. This is when your risks for an accident are the highest. If you have to, make sure there are working lights on the front and rear of your bicycle. Wear bright colored clothing and make sure there are reflectors on your bike. Stay seen out there. You can’t always avoid the dangers that come along with the dangerous driving habits of others. But you can best prepare yourself to react and to avoid these dangers. Stay alert out there and stay safe on two wheels. You have a right to that roadway, too! The Massachusetts accident lawyers at the Law Offices of Jeffrey S. Glassman, LLC represent those who have been involved in traffic collisions throughout Massachusetts. Call 1-877-617-5333 to set up a free initial consultation to discuss your rights.